ChatOrNot is a chatting app that lets you connect with singles in your local area and beyond. Rate, date and meet new people in your neighborhood or cities you are visiting. 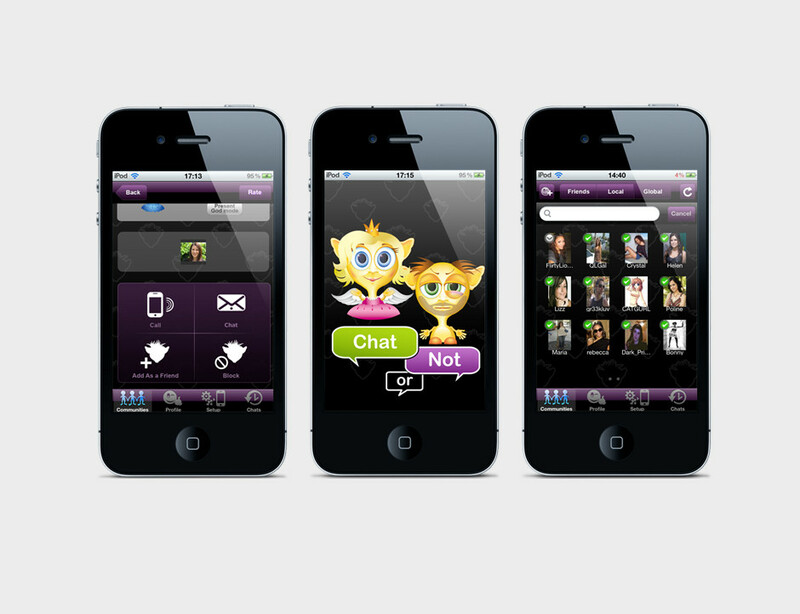 Send instant chats, pictures or make direct calls to anyone logged on to the Network. This is the way locals connect today. ChatOrNot employs a unique user-based rating system, which shows you who's been rated ‘hot’, allowing you to discreetly block the 'nots'. Instantly see who's been voted worthy of chatting and waste no time getting to know the best locals with this cool app from our own iPhone applications development team. The app is compatible with iPhone, iPod Touch, and iPad, and requires iOS 3.1 or later.